On their ill-prepared and ill-fated trek from Melbourne to the Gulf of Carpentaria, Burke and Wills passed through the region in 1860. There is now a scenic road on the path on which they travelled, named the Bourke and Wills Track. You need to travel along this track to reach the destination of Knight’s Granite Hills Winery – situated at at 550 metres above sea level, on a granite laden landscape. Windswept, beautiful and wild. Due to the high elevation and continental climate, it can be safely said that the Macedon Ranges is the coolest grape growing region on mainland Australia. There are colder regions in New South Wales during the winter – but not during the all important growing season. During January, the Mean Average Temperature is between 17.2 and 18.5 degrees. The wine region of Canberra for instance, is much colder in winter, with many below zero temperatures, however the January Mean Average Temperature is 20.2 degrees . The Macedon Ranges is host to picturesque main streets of small country towns. From Daylesford in the east to Lancefield in the west, the townships a wonderful snapshot of elegant rural settings. 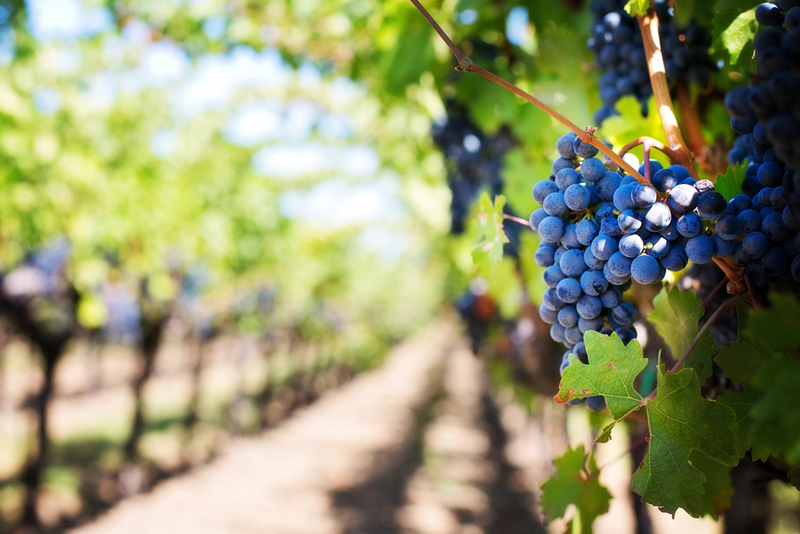 Less than an hour’s drive from Melbourne, the wine region is one of the most geographically diverse in Australia, with an altitude of between 300 and 800 metres. 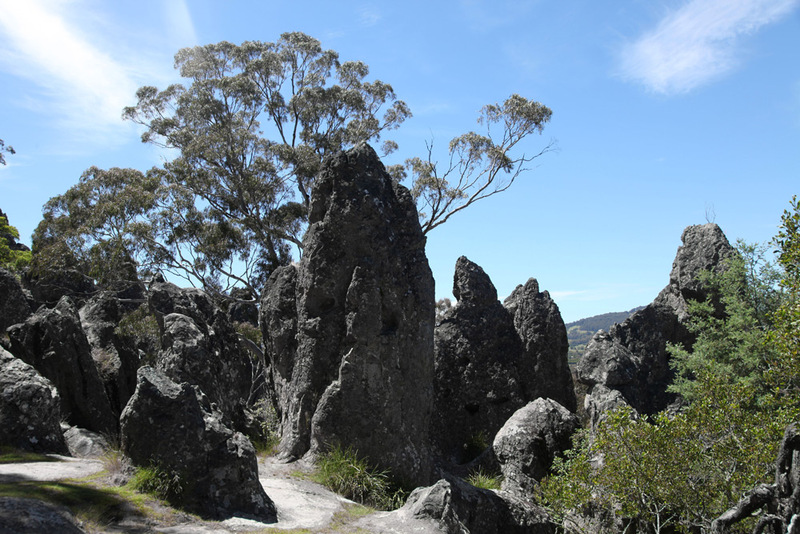 A visit to the famous Hanging Rock can be included, and a drive over the spectacular Mount Macedon is icing on the cake. Knight’s Granite Hills – was established by Gordon Knight in 1970, this is one of the oldest wineries in the region. Now run by Llew Knight, Granite Hills is famous for cool climate Riesling and a wonderful peppery Shiraz. New additions to the range include Pinot Blanc and Gruner Veltliner. There are also Chardonnay, Pinot Noir and Merlot and a red blend to enjoy. The intimate cellar doo is perfect for smaller groups that are interested in learning about the wines and the region. Granite Hills have won over 500 show medals, both domestically and internationally for their wines, and their Riesling has won prestigious awards for ‘Wine of Provinance’. Curly Flat – Near the township of Lancefield, 80 kilometres from Melbourne, Curly Flat is in the coolest viticultural area in mainland Australia. Its high altitude at 560metre, continental climate, and southerly aspect to the Great Dividing Range make the site unique. The main grape grown here is Pinot Noir, followed by Chardonnay, and a small amount of Pinot Gris. The team at Curly Flat are driven to produce the most expressive wine possible, reflective of vintage variation. Their philosophy is ‘Curly Flat seeks to express the footprint of the vineyard, not the thumbprint of the winemaker’. With senior winemaker Matt Harrop now heading up the talented and passionate team, the already excellent wines will continue to get even better. A tasting at Curley Flat is a relaxed, informative occasion, where guests are invited to sit in comfort and take time to enjoy the wonderful aromas and flavours slowly revealing themselves. The glassware is excellent quality, and adds to the pleasure of the experience. A must visit! Hanging Rock Winery – was established in 1983 by former Rosemount winemaker John Ellis and his wife Anne. Their vision was to find a site cool enough to produce world class sparkling wine. Most would agree that this goal has been well and truly achieved, as well as producing a dizzying array of other wine styles. At last count there were over 25 different wines being produced at Hanging Rock. John has now passed the winemaking baton to his son Robert, which gives John the time to look after his beloved Speckle Park beef cows. The wonderfully flavoursome and tender beef is available for sale at the cellar door. Hanging Rock Winery has had a long association with the region of Heathcote, an ideal location for growing excellent red wine grapes – most notably Shiraz. Some of the best wines come from the ancient, iron rich soils of the Cambrian Rise, a major contributor to the soil profiles of Heathcote An impressive array of Shiraz and other red wines are sure to please lovers of delicious full bodied styles. Hanging Rock is the largest winery in the Macedon Ranges, and makes wine under contract for many of the smaller vineyards. Paramoor Winery offers a unique cellar door experience. The rustic charm emanating from the converted Clydesdale stables of the cellar door brings a smile to the visitors. This is a lovely point of difference. The tastings are conducted at a leisurely pace, as you sit back in comfort with a large, quality Riedel glass – a succession of gorgeous wines poured therein. The tastings are conducted by owner and winemaker Will Fraser, and wife Kathleen. A word of warning – many people do not feel like leaving Paramoor in a hurry. Factor in some extra time for a relaxing glass of wine after the tasting, whilst soaking up the atmosphere. As if all this is not enough, Paramoor is one of the most awarded and talked about wineries in the Macedon Ranges. Their 2015 Riesling was winner of the Macedon Ranges Wine Exhibition Laurie Williams Trophy for Best Wine of Exhibition. Pinot Gris, Cabernet Sauvignon, and Shiraz have all won gold medals at the Victorian Wine Show. An outstanding experience. You may also bring a picnic lunch to this picturesque winery, and purchase a bottle or two of Paramoor wines to enjoy with your lunch. Yum.